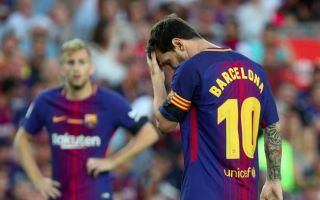 Lionel Messi is reportedly furious with all of Thomas Vermaelen, Munir and Ousmane Dembele after Barcelona’s shock defeat to Spanish minnows Leganes on Wednesday. According to Diario Gol, the Argentine superstar has given up with Argentina in order to focus on winning everything possible with Barcelona, something that will become a little bit harder given the club’s loss to Leganes on Wednesday. 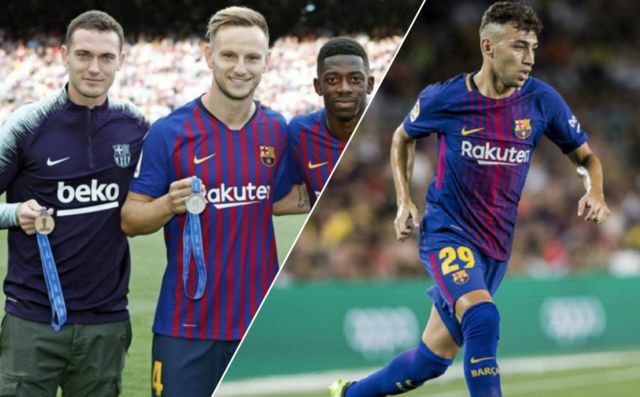 The report also notes that Messi has said Vermaelen, Dembele and Munir will be “on the street”, something that indicates the forward is far from pleased with the Barca trio. A lot of Barca fans will agree with Messi’s view, as a number of the club’s stars were absolutely woeful in their defeat to Leganes. Players like Gerard Pique, Thomas Vermaelen, Busquets, and even Messi himself, were shocking, and all have questions to answer as to why they weren’t able to help the club beat Leganes. Barca failed to create any meaningful chances for a large part of the match, and this showed as they only managed to score once, a goal that was a fabulous effort from Philippe Coutinho. Barca did rotate a lot for their loss to Leganes, something that saw players like Vermaelen and Munir claim a first team start. However, following the result of the match, we doubt we’ll be seeing Valverde rotate as much as he did in the near future, especially seeing as it doesn’t seem to have gone down well with Messi.